Here is a how to tutorial so you can too! 1) Gather your supplies. You will need a framed cork board (I got mine at Joann's for about $7), scrap fabric, trimming (ribbon or bias tape), an empty frame (I took the glass and back out of a $2 frame at Goodwill), lace, push pins, spray paint, and hot glue. 2) Cover your cork board before spraying. 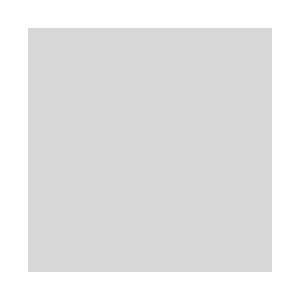 This is especially important if you chose a dark paint color or you have a thin fabric. When you glue the fabric on to the cork you will be able to see the contrast between painted and unpainted cork. Also painting cork makes it less easy to push pins into. 3) Spray the frames. I purchased a "short cuts" can of spray paint and there was definitely enough. 4) Spray the pushpins. I had some bright colored ball push pins that I didn't like anymore so I sprayed them to match, but you could certainly search for some pins for purchase that you like. *Tip: The best way to spray pins is to actually pin them standing up into some cardboard so you can get paint on the heads from all angles. Just laying them out is a big mess. 5) Cut and hot glue fabric to pin board. Pretty simple. I recommend leaving a little extra fabric when you glue it and the trim the excess with an exacto. Otherwise, you risk having an awkward side that does not cover enough. 6) Glue your trim around the edges. At the corners cut with a little extra material, and then re-cut at a 45 degree angle to make a crisp mitered corner. This step is optional I suppose but it really helps finish the look and cover up tiny fabric gaps at the edges. 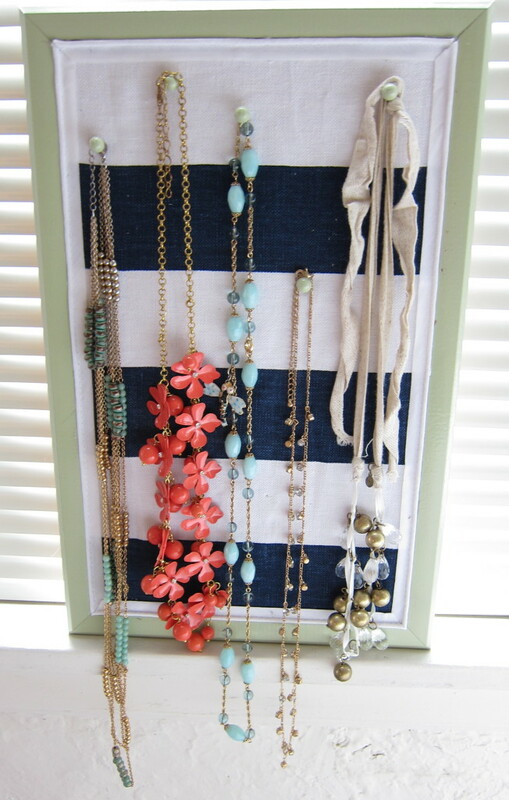 Now you are done with your necklace board! On to the earrings. 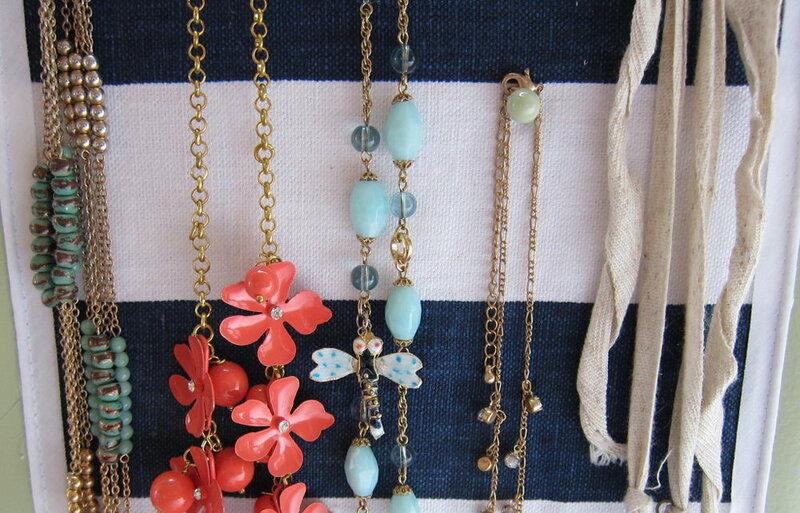 7) Arrange your lace. I played with different patterns, finally ending on a bold symmetrical stripe pattern to match my fabric. But it would also be so pretty to get 1big sheet of lace on there. 8) Mark their spots and hot glue them on from the back. 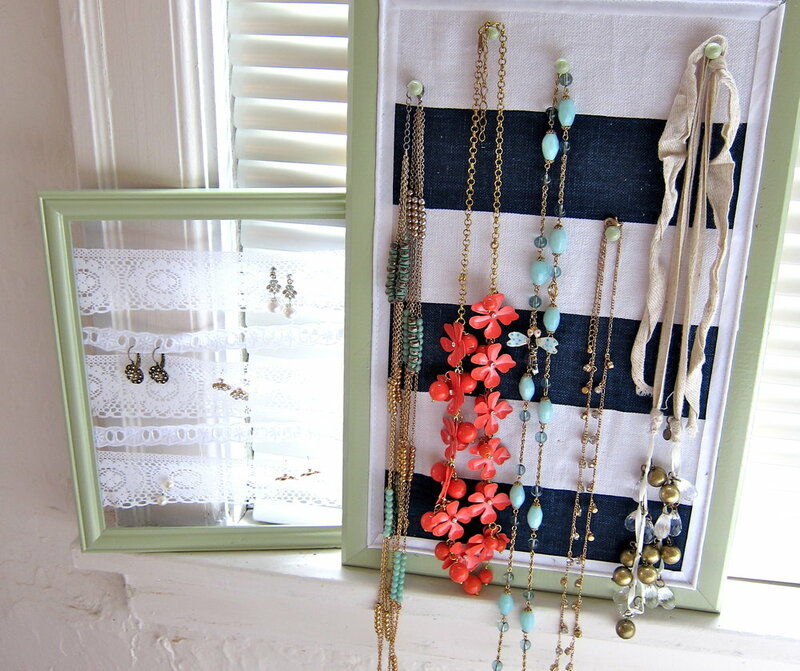 9) Hang and display your jewelry!